As twelve-year-old Emily Iris explains it, her mother and father have always been eager to take in travelers and vagabonds, relying on the presence of outsiders to ease the tension between them. Emily has her gentle older sister, Sarah, and Buza, the old Zulu nightwatchman, for company and comfort. But her parents continuing discontent leads them to welcome some peculiar strangers. One spring, a family of wanderers a wildlife photographer, his wife, and two boys comes to stay, and their strange, compelling, and dangerous presence will leave the Iris family infinitely changed. 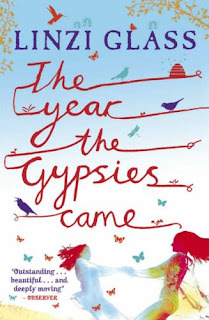 It's been a while since I read any of Linzi's work and I don;t know why I have left it so long because her books are fab. This book is set in the background of a modern historical context of Apartheid in Africa. What I like about it is that it isn't about Apartheid as such but a story about a family living in the times and how it impacts upon on them. I love stories like this as I think they are more realistic in showing the impact of such events on ordinary people living in extraordina...moreIt's been a while since I read any of Linzi's work and I don;t know why I have left it so long because her books are fab. This book is set in the background of a modern historical context of Apartheid in Africa. What I like about it is that it isn't about Apartheid as such but a story about a family living in the times and how it impacts upon on them. I love stories like this as I think they are more realistic in showing the impact of such events on ordinary people living in extraordinary times. I loved the main character of Emily and the innocent way in which she sees her world. I loved the relationships she had both with her sister and the family's Nightwatchman Buza. 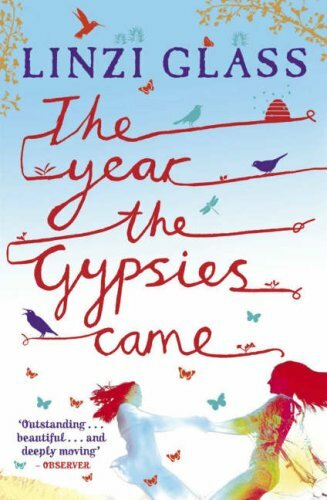 The main story is involving the Gypsy family who stay with the Iris's is quite dark and very sad by the end and it definitely hits you emotionally. I've seen a lot of really negative reviews on goodreads having a go at the subject matter saying it was too nasty of young adults to read. I would argue this is the ideal way to teach young people about such horrible things. All in all a hard hitting and fab little book which was a pleasure to read. Where we live the gypsies arrive on a yearly basis! I haven't heard of this author, but I will definitely be looking up her books. Her other book, Ruby Red, is one of my favourite books - I must read this at some point!